In October 1947, a group of civic-minded individuals pooled their resources to establish an academic institution named as the Parent-Teacher College (PTC). PTC officially opened in June 1948, admitting not only the youth who dreamt of earning college degrees, but also working individuals who desired to further their educational growth. In 1955, PTC acquired an empty lot in Carmen, Cagayan de Oro where a 2-storey building was constructed for classrooms, administrative offices, and laboratories. In 1967, PTC was renamed as Cagayan de Oro College (COC). In 1970, due to a high demand for courses in Engineering, COC offered Civil, Chemical, Mechanical, Electrical and Geodetic Engineering courses. Advanced courses were also offered in the Graduate School from the late ‘90s to the early 2000's including masteral degrees in Government Management, Criminology, Engineering Management and a doctoral degree in Educational Administration and Supervision. COC has been given national awards by the Philippine Association of Colleges and Universities – Commission on Accreditation in 2003 and 2004 for having the third and second most accredited programs, respectively. In June 29, 2005, COC became part of the PHINMA Education Network (PEN), an educational institution that aims to provide quality education. As PHINMA COC, it has made quality education more accessible to Filipinos in Northern Mindanao through scholarship programs. It strives for academic excellence and social awareness by regularly updating its curriculum to suit the needs of the community. 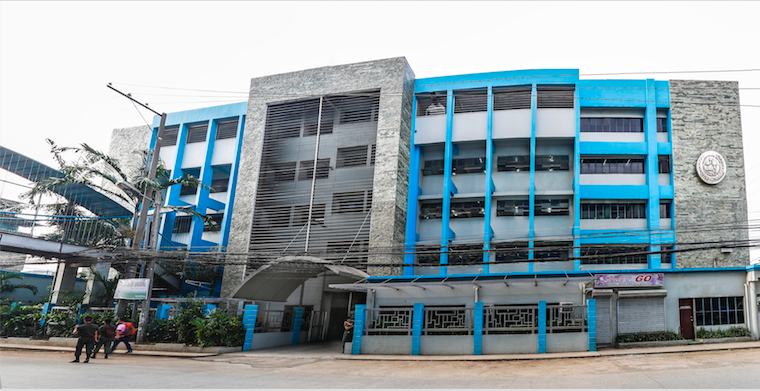 In 2011, PHINMA COC expanded its campus to Bgy. Puerto, making private college education accessible to students from the eastern part of Cagayan de Oro, Misamis Oriental and Bukidnon. In 2016, PHINMA COC was awarded Center of Excellence for Criminology by CHED as it produced 17 Topnotchers for 10 consecutive years since 2008. Other Board Topnotchers came from the fields of Elementary Education (Top 9, 2014) and Mechanical Engineering (Top 9, 2011 and Top 7, 2014). Compared to only 4,000 students during its pre-PHINMA days, PHINMA COC has since quadrupled its total college population to 16,000 students this schoolyear 2017-18 and will continue to grow.